Selling or refinancing within a planned community development ("PUD") requires specialized documents and disclosures be provided to potential purchasers, lenders, sales agents, appraisers and Escrow officers. Please see the information below regarding HOA Docs. Please be advised there is a non-refundable upfront fee of $200.00 for the requested HOA documents. Our office does not accept credit card payments. Please make check payable to: Exclusive Property Management, L.L.C. Forward request for escrow demand & upfront fees to: 2661 Reynard Way, San Diego, CA 92103. Standard turn time for Documents is five (5) business days. Additional Rush Fee of $100.00 guarantees 48 hr. turn-around. If you are requesting UPS or Fed Ex returns, please provide self-addressed label and envelope. Otherwise, we will contact your office when docs are ready for pick up. 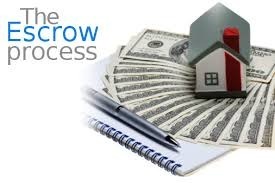 A transfer fee of $225.00 will be due at the close of escrow. There is a non-refundable upfront fee of $125.00 for completion of the HOA Certification. This fee includes a copy of the current budget and certificate of insurance. Please fill out the form below or contact us at [email protected] to initiate the document request process.